Institutional affiliation: Ramapo College of New Jersey. Position: Professor. Research Interests: Visual and social semiotic research, preservice teacher education, artworks analysis, visual literacies, emergent technological literacies. Research Interests: Visual and social semiotic research, preservice teacher education, artworks analysis, visual literacies, emergent technological literacies. 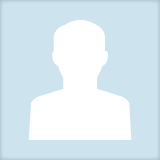 Elvira K. Katić updated their profile information.